Here's why laser cutting is more affordable for your project, no matter its size or shape. Lasers require little to no cleanup. A small amount of waste is produced in the form of dust, which is easily removed with a simple vacuuming and filtering process. On the other hand, waterjet cutting requires a large amount of cleanup due to the abrasives mixed in with the water. The abrasive waste requires special disposal (due to possible toxicity), which further drives up the cost. How much does laser cutting cost in terms of tooling? Very little. The gases used to produce the laser are inexpensive, and increased demand for lasers has driven down costs of components. Really, the most expensive part of operating a laser cutting machine is the power consumption of converting electricity into light. In contrast, a waterjet machine requires some very expensive components to run properly: a high pressure pump, a cutting head usually made out of gemstones (diamond, sapphire), and an expensive abrasive material (usually garnet). To add insult to injury, some of these components wear out quickly and need to be replaced often. Laser cutting cost per inch is obviously superior thanks to laser's high speed plus incredible precision. Waterjet cutting moves very slowly and doesn't even come close to the precision of a laser. Further, thin metals and small products are difficult to fabricate due to the force of the water. This can lead to higher rates of part defects. In terms of precision, waterjet cutting is best for large parts and low tolerances. Combined with the speed and precision of cutting, waterjet operation skyrockets compared to laser cutting. Waterjet cutting is much slower AND much more costly per hour of use. Laser: 15,000 in / 70 ipm = 214.29 minutes of active cutting. 214.29 min = 3.57 hours. $13/hr * 3.57 hr = $46.41 for 15,000 inches of cutting. Without considering any other factors, waterjet cutting is more than 5x the cost of laser cutter cost per hour. Laser cutting is more affordable than waterjet cutting overall. The numbers won't add up as neatly as in our example problem above, as there are many more factors to consider in the actual manufacturing process. However, you still get a general idea of the cost disparity. There are really only a few cases in which waterjet cutting would overshadow laser cutting. 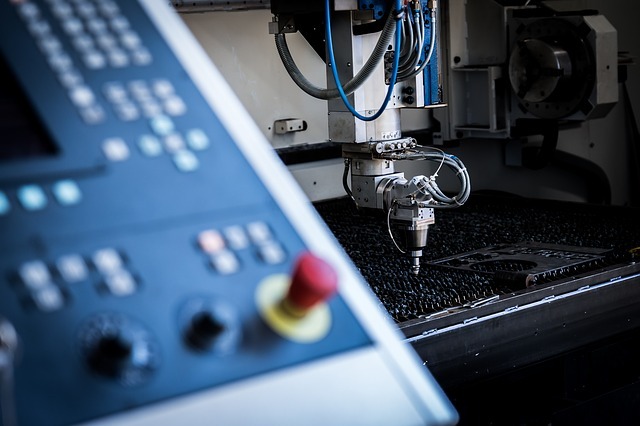 For instance, laser cutting doesn't do so well with thick materials, and waterjet cutting can be used on almost any material type or thickness. As we refine all of our manufacturing processes, we may see waterjet cutting become a more viable option. But, for now, laser cutting should be at the top of your list.